Dive in! 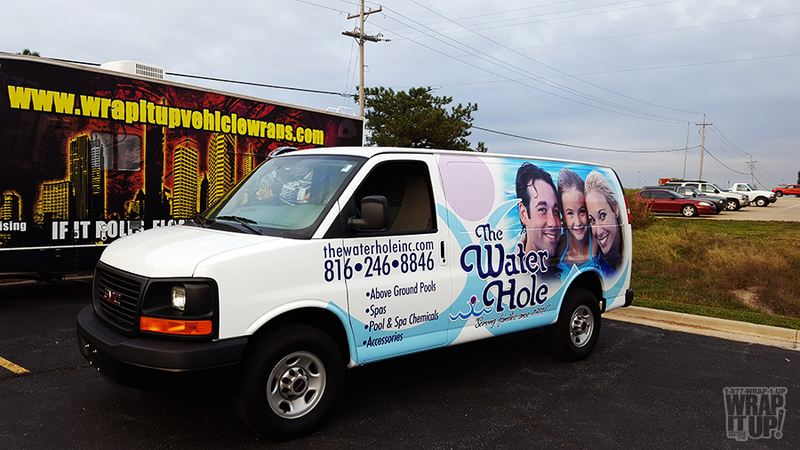 Take a look at the new van wrap for The Water Hole of Kansas City. This clean design has large flowing graphics and bold pictures, but you can clearly make out all of the important details. The Water Hole is Kansas City’s oldest Pool & Spa Company, family owned and operated since 1971. Reputation is everything; head over to The Water Hole’s website and read some of the numerous great reviews. If you are looking to get a pool or spa or if you need help with a current one make sure you call our friends over at The Water Hole. Thanks Water Hole!